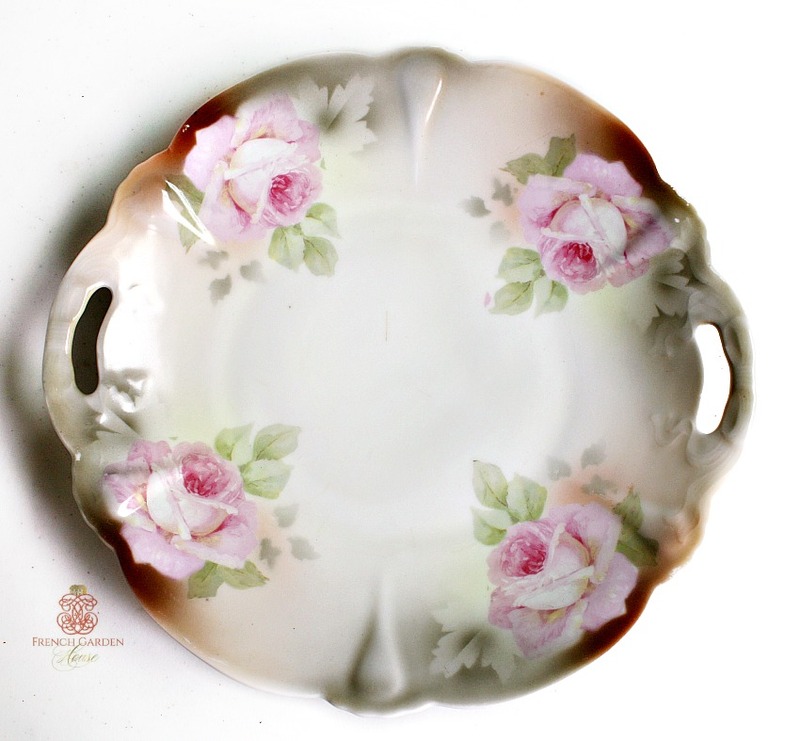 Lusterware Cake Plate or Platter with four gorgeous Pink Roses on a soft yellow and green ground. These are so beautiful, the luster glaze really brings out the tones in the hand painted background, it ranges from lighest yellow to green, chocolate and apricot. Two cut out handles make this very usuable, the edges are scalloped. After a long service in a family home serving birthday cake, celebration desserts and cookies for tea time, this darling is ready to be a decorative accent to your tea table, or perhaps to hold small guest towels and petit soaps in your guest bath? There is one mark in the center, it does not go all the way through, not sure if this happened in the factory or not, and one kiln slice on the egde, not uncommon in these antique pieces. Please only buy this pink rose piece if you can love her with the grace of over 100 years. Measures 10-1/4".